I am extremely happy with the photos! We were so lucky to have such nice weather as well! 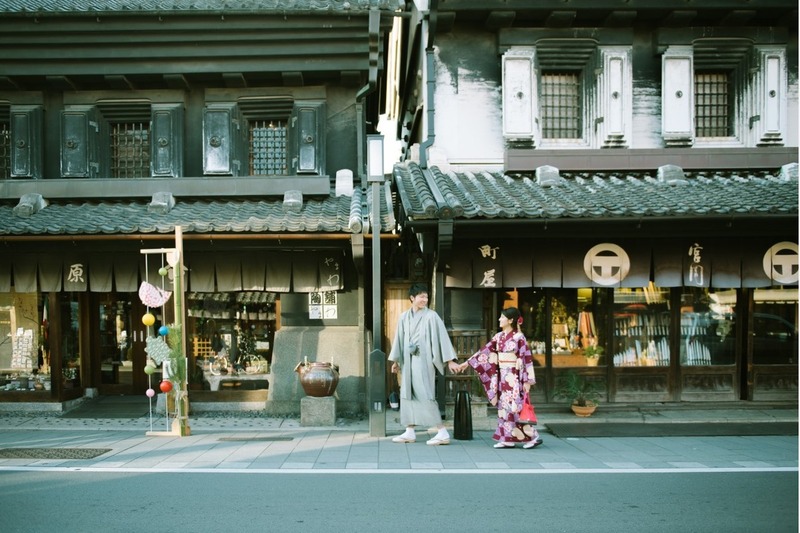 This cozy town in Kawagoe is said to be reminiscent of the Edo Period (1603–1868) and gives a very nostalgic atmosphere. 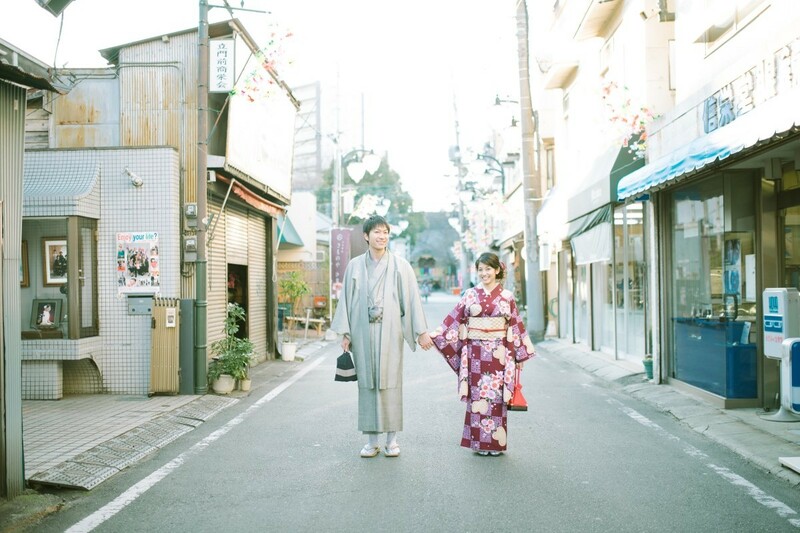 Many couples come to this quaint area for pictures in traditional Japanese clothing to match the setting of the area. 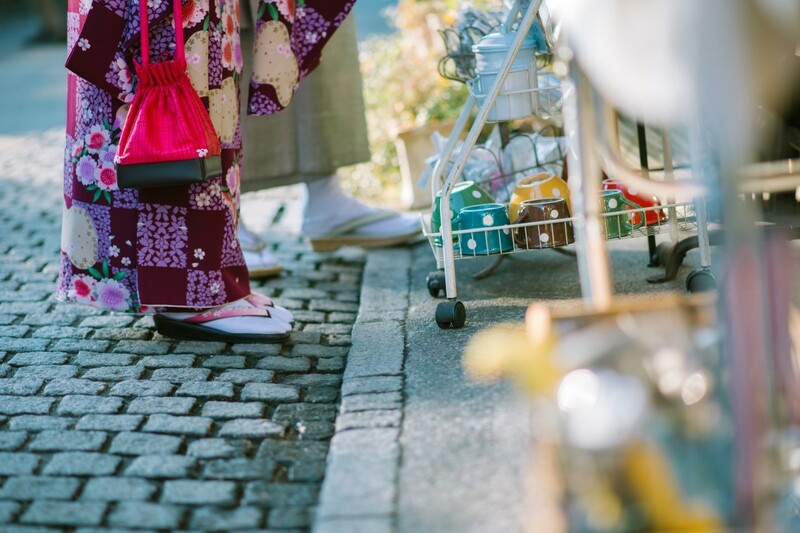 The surroundings inspire many "olden-day" activities such as trying traditional snacks and visiting the beautiful temples in the area. All the shops in the town are preserved as if frozen in time and offer many traditional items and snacks for purchase. 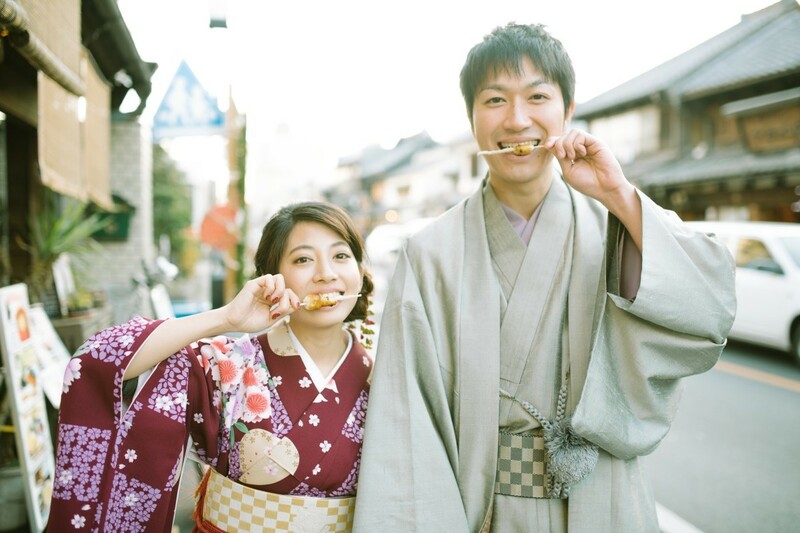 Ayumi and Kenji are enjoying a traditional Japanese food called "mitarashi dango". The snack is made of mochi balls, skewered and covered with sweet soy sauce. A very simple but classic treat. 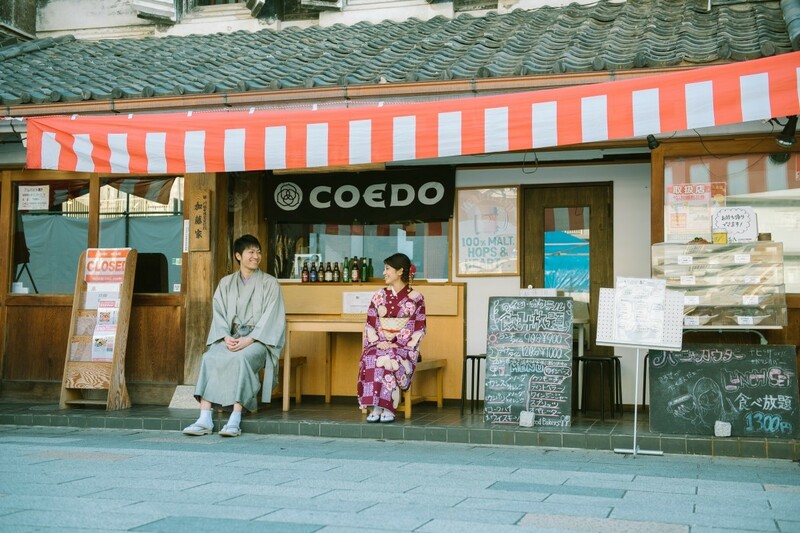 Little Edo, or "Coedo/Koedo" as it is named in Japanese, has a variety of kimono shops which offer rental packages for couples or any visitors to the area. Ayumi chose a floral, maroon and purple kimono with a yellow obi, belt, while Kenji decided on a gray montsuki, a formal kimono worn by men. 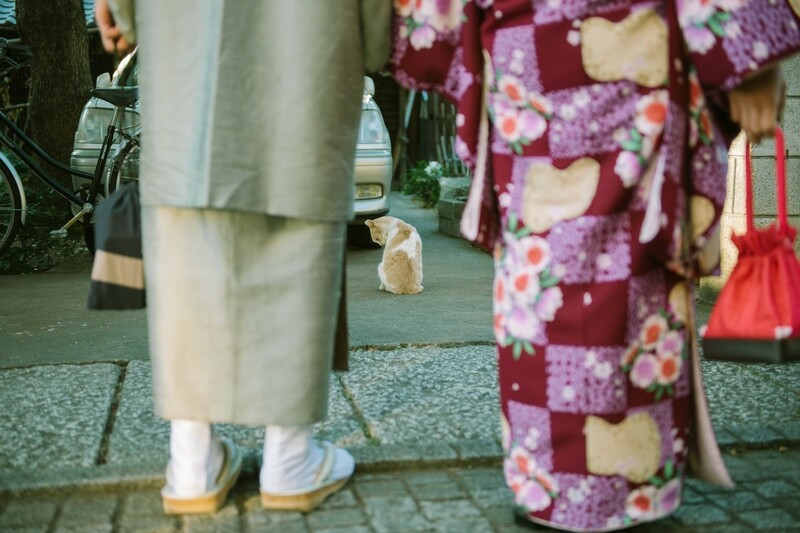 The couple are both wearing footwear called "geta" which are traditional Japanese sandals. Is there any advice you would like to give to future couples? I think it's great if you can take photos in styles you can't wear on your wedding day! The unique experience makes for wonderful memories!